Perfect for any contemporary bedroom, this Nexera nightstand is a great combination of style and durability. Styled with a contemporary look, this piece is sure to bring even more style in your home. Storing books, holding a lamp, and placing an alarm clock can all be done on this handy nightstand. 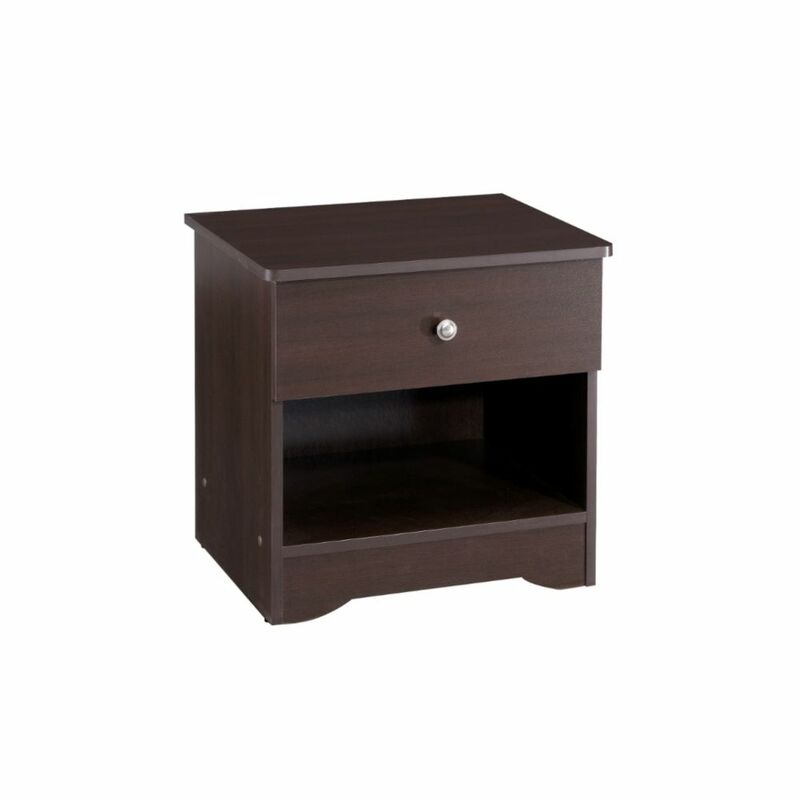 Nexera 341112 Night Stand offers 2 convenient storage drawers to keep your books, magazines, personal effects, etc. handy while in bed. The rich Truffle finish will give your bedroom a rustic-chic vibe while adding convenient storage to it. Pocono 21-inch x 20.625-inch x 17-inch 1-Drawer Nightstand in Espresso Perfect for any contemporary bedroom, this Nexera nightstand is a great combination of style and durability. Styled with a contemporary look, this piece is sure to bring even more style in your home. Storing books, holding a lamp, and placing an alarm clock can all be done on this handy nightstand.